Just beginning the planning process for my 2015 road trip. 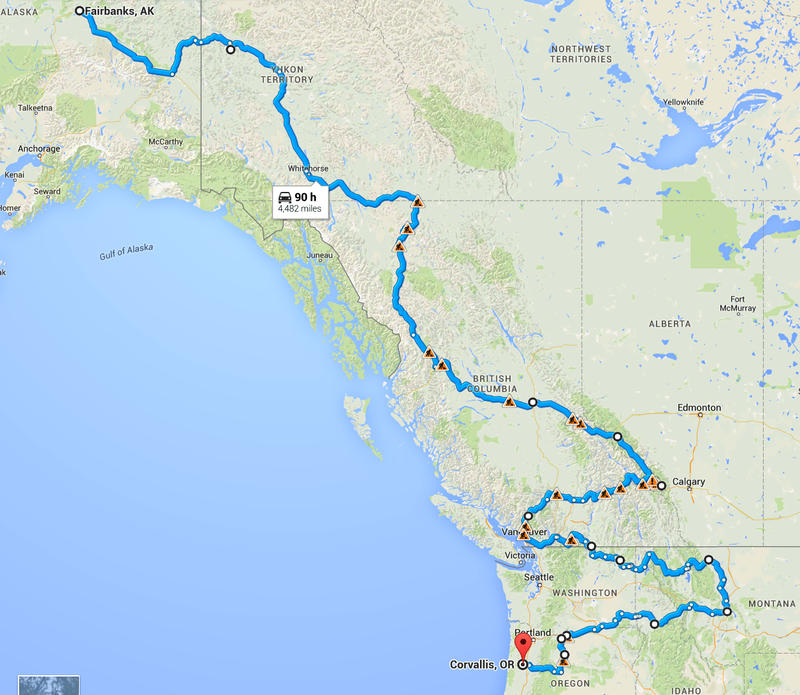 06/21 --> 7/17 - Cassiar Hwy, Stewart, Jasper, Banff, Whistler, ?? 07/27 --> 07/31 - Here is where Bridget and I plan to do some traveling with the Ural for about a week. I'm thinking PNW coast maybe into Vancouver Island. Unknown at this point in time. The first part is something like this. A lot of the wandering is in southern BC. This route is about 4500 miles according to Google. Here is another option. This is about 4,000 miles. Wow. Pack up your cares and enjoy that fabulous route. This was the first pass at looking for places to see. 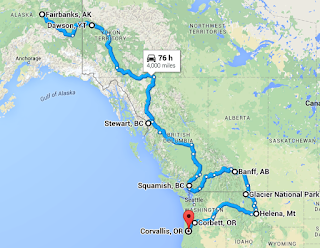 Much of the trip is somewhat "routine" as there really aren't too many ways to get to/from Alaska. Take the scenic route!... Hmmm, both probably fit that description. I look forward to reading about your ride. I'm thinking of the shorter one. If kinda depends on how things are going with the Ural. Looks like fun. I've marked on our calendar when you'll be in Corvallis. We'd love to take you and Bridget to dinner. If we miss Bridget, don't worry, we'll still take you out. We can give you some tips of twisty roads up/down the coast. Let me know if you want some local insider backroads. Of course, your sister probably knows some of them too. Thank you! We haven't got around to figuring out where to go but I suspect it'll be along the coast and not the interior. I don't remember when Bridget is heading home but I think it's 8/3. Richard, if you venture onto the Island be sure to connect with me! Lots of great places to see and ride to. 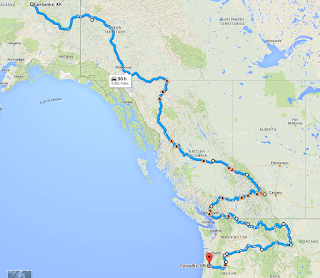 Haven't figured out where to go but Vancouver Island may add too much distance to the trip. What's the cheapest ferry route? Looks like a great route....you going to let us "track" you via SPOT? I already have it set up on Spotwalla and have been testing the setup again. I still need to fine a better location for the Spot device. On the Beemer I just used the tank bag but I don't plan on using the tank bag on this trip (so far). Wow, maybe we'll cross paths somewhere. We'll be in Idaho/WA around those times. Anyway whatever route you pick hope it's a great trip! That'll be near the end of your trip!